The Wolverine 3 (aka Logan) trailer is out, and it has X-Men movie fans excited for Hugh Jackman's final chapter in the Wolverine movie trilogy. While fan and casual moviegoers are all talking about the big trailer moments and subsequent questions like who is X-23? Or who are The Reavers? There's been one question that we here at Comicbook.com (like so many other fans) have been obsessing about: How does Logan fit into the X-Men movie timeline? The X-Men movie timeline has become such a convoluted mess, with no less than four major established timelines (OT, First Class, DoFP future, and a new OT timeline) and all kinds of wayward branches that have since been pruned(X-Men Origins: Wolverine, X-Men: The Last Stand). Somewhere in that twisting, timey-wimey knot of continuity stands Logan, and Director James Mangold is dropping a few hints as to how the film fits. 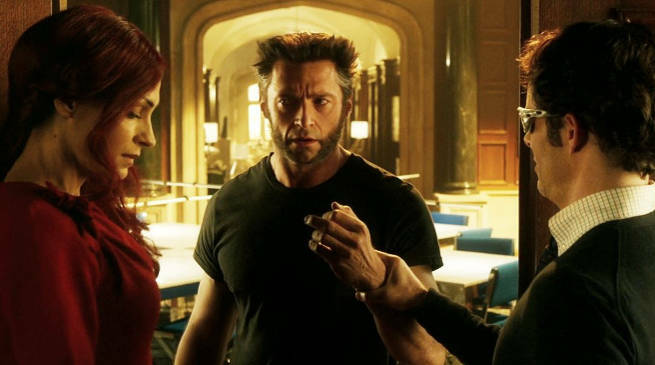 Talking to Empire, Mangold stated that, “We are in the future, we have passed the point of the epilogue of Days Of Future Past," and while that may seem obvious, since Logan is set in 2024, it does answer at least one big question that loomed over the film. At the risk of getting too nerdy: The Wolverine ended with a mid-credits scene that connected that film to The Last Stand (the mysterious resurrection of Prof. X), while also setting up the events of Days of Future Past. Yet, with DoFP having eliminated the Sentinel-controlled future, leaving Wolverine of the 70s on the path to a new fate, we know (in part from X-Men: Apocalypse) that the events of XO:W no longer exist, and the events of The Wolverine can no longer be same, either. 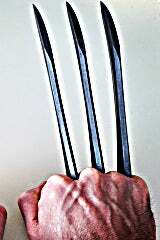 The question about Logan was whether or not the film was a direct continuation of The Wolverine or would it pick up with the new OT timeline we left an older Logan in at the end of DoFP? Now Mangold has confirmed that its indeed the latter case. ...which brings us back around to the future of the franchise. In Logan, the young Wolverine-like girl, X-23, is just that: young. Since she exists in that young age within the year 2024, it's been hard for fans to see how she could possibly inherit the mantle of Wolverine and be featured in upcoming X-Men, X-Force, or New Mutants movies. But since that "New OT" timeline is already built on the premise of time travel and alternate timelines, it wouldn't be too hard to get X-23 back to the more hopeful new OT era we saw at the end of DoFP. We'll see how the film handles it.